· We need to understand that whilst every man has a 'right conscience' he is intrinsically inclined to wrongdoing (sin) and needs to be civilised or trained by families, community groups and law to follow his conscience. · A false understanding of human nature has led policy makers to blame crime on social factors but this has lifted responsibility off the shoulders of criminals. The chosen remedies have made matters worse: in fighting poverty through an expanded state, for example, the familial and community ties that are the basis of civilisation have been undermined. · Identifying the causes of crime will only help us to create more crime! We need to identify the causes of civility (what Oliver Letwin has called the 'neighbourly society') and these causes are found in personal character, in the family, in community association and in a public square characterised by integrity. · A proper understanding of justice includes 'due process' and compassion for the weak but is fundamentally about an ordered community of right relationships between individuals, families, racial groups, enforcement agencies and, ultimately, Colson contends, with God. (3) A respected system of law and enforcement agencies that hold people accountable for their wrong choices. Believing that people are naturally good can also lift any sense of responsibility from criminals. This idea was given formal expression by Clarence Darrow, the lawyer who defended Darwinism in the Scopes trial. In a speech to prisoners in 1902 he said: "There is no such thing as a crime as the word is generally understood... I do not believe that people are in jail because they deserve to be. They are in jail simply because they cannot avoid it on account of circumstances which are entirely beyond their control, and for which they are in no way responsible." (2) Crime became coarser because if society was at fault you were entitled - even bred - to rebel against it and this rebellion was often expressed in violent and apparently motiveless ways against vulnerable elderly people, young children and women. (3) The state-led 'war on poverty' and an entitlement culture weakened family and community structures - particularly the necessity of fathers in children's lives. And so was fulfilled Alexis de Tocqueville's warning that a freedom-loving people like the Americans [or British] would, in Colson's words: "never submit to tyrannies of blood and iron, but they could quite easily allow government to assume more and more of the functions formerly left to private associations until it runs our lives for us." Colson cites a number of surveys which show no significant correlation between crime and race, poverty or oppression. But surveys by Samenow and Yochelson and Wilson and Herrnstein concur that the answer to criminal behaviour lies in a "conversion to a whole new [responsible] lifestyle". What's the point of seeking to identify the causes of crime? We need to discover the causes of civility. The Thatcher-Reagan revolution turned conventional economic wisdom on its head. What was the point of debating the causes of poverty? We didn't want to create more poverty; we needed to create more wealth! Conservatism in the 1980s transformed the economic debate into a discussion of how to create jobs; to increase incentives to work and invent; to foster enterprise and so on. In tackling crime our challenge is not so much to revisit Tony Blair's 'causes of crime' mantra but to focus on the causes of civility, virtue and neighbourliness. "In any society only two forces hold the sinful nature in check: the restraint of conscience or the restraint of the sword." Michael Novak - writing of America, says: "This country ought to have, when it is healthy and when it is working as it is intended to work, 250 million policemen - called conscience. When there are 250 million consciences on guard, it is surprising how few police are needed on the streets". · Public figures who embody high standards and who resign when they fail to live up to them. · A FULL view of justice that includes due process and compassion but, Burnside writes - "Above all it reflects our desire to live in right relationship". Peace or shalom is not simply the absence of hostilities; but true harmony and concord. 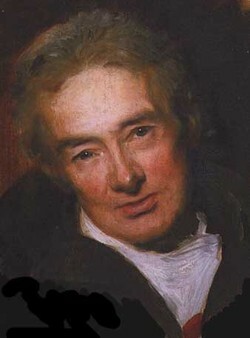 Wilberforce's contemporary, Sir Robert Peel, agreed and in 1829 said that the first job of the police was not to fight crime but to keep the peace. "It is hereby made the duty of the police department to especially preserve the public peace... Remove all nuisances in the public streets... Restrain all unlawful and disorderly conduct". "Not surprisingly then, in the United States at the turn of the last century it was the police who developed food and soup lines, built police stations with space where migrants could stay, referred beggars to charitable agencies, returned lost children to their homes, and patrolled the streets, preserving the good order of the community." Colson accepts the role of prisons in taking dangerous people off the streets for the safety of the community. In most cases, however, he believes that there are too many people in prison who would be better helped by community-based programmes that, for example, involve restitution with victims. In the Middle Ages crime was seen as an offence by one member of the community against another - calling for reparation by the offender to the victim or the victim's family. Only in King Henry II's time - in his determination to establish 'the king's peace' - was crime redefined as an offence against the crown. "Prisons, after all, are populated by people who are dealing with immense personal tragedies, albeit often of their own making. Anyone who works in prison becomes accustomed to the vacant stares, the hapless prison shuffle, the anger and resentment, the constant complaints, the general social disarray." · All prisoners can strengthen links with their families and can prepare for release. The ancient world - Scocrates, Aristotle and Cicero - acknowledged a source of law and justice beyond human will and understanding. "We are all born high, as well as low, governors as well as governed, in subjection to one great immutable pre-existing law, a law prior to all our devices and all our conspiracies... This great law does not arise from our combinations and compacts; on the contrary, it gives to them all the sanction they can have. Every good and perfect gift is of God; all power is of God." In England the Magna Carta limited the arbitrary powers of the king. Sir William Blackstone wrote: "The law of nature dictated by God Himself... Is binding in all countries and at all times... No human laws are of any validity if contrary to this". It is surely better to be subject to this higher authority of God-given laws than laws built on the shifting sands of political correctness and judges' whimsies. Colson writes: "In the absence of the rule of law, we are reduced to the rule of man," and then drawing on the histories of Russia and other totalitarian regimes, he continues: "For justice is impossible without the rule of law; and the rule of law is impossible without transcendant authority. Legal systems of the past, seeking to implement a divinely authorized rule of law, were sometimes crude, corrupt or even cruel. But the problem was with the implementers, not with the law they were implementing; human beings have always been and will always be imperfect. Today we have the same fallible human beings administering meaningless, standardless law - and we are worse off, not better."